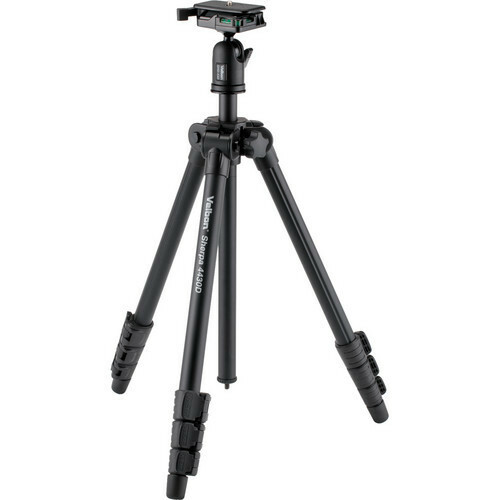 The Velbon Sherpa 4430D is an aluminium tripod which offers an extremely versatile range of features. Equally suited to studio or field work, it will appeal to a wide range of users including photographers, videographers and birdwatchers. The QHD-43D ball and socket head allows fast adjustment of pan and tilt movements with single-lever locking. It incorporates a QB-62 quick-release platform to allow quick and easy attachment and removal of camera or scope. 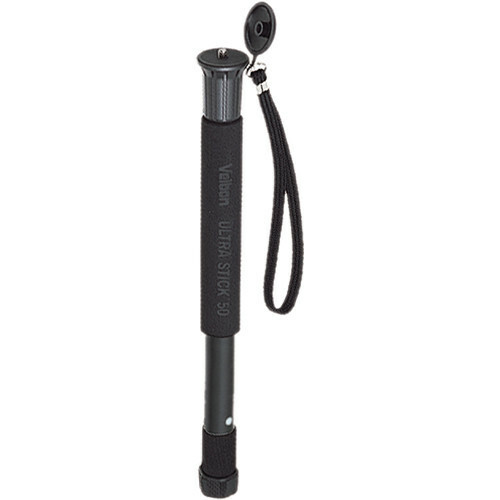 The Velbon’s Ultra Stick M50 Aluminum Monopod is a 5 section monopod with a rubber foot and twist-lock leg sections. 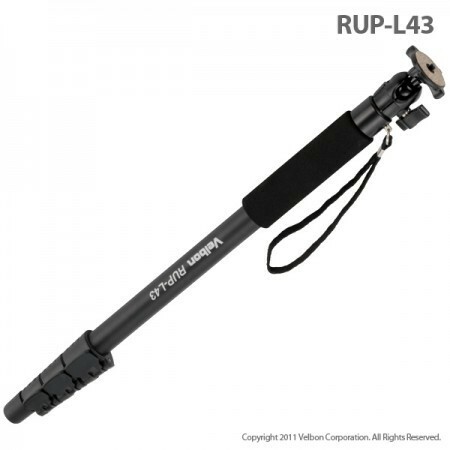 It has a useful eye-level maximum height of just over 130cm and will hold a camera up to 1.5kg in weight, yet collapses to just 32.5cm long and weights only 210g, making it ideal as a take-everywhere camera support. 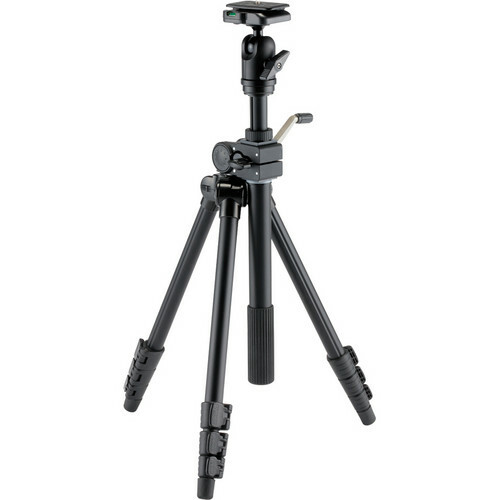 The unique design of this model makes it Velbon's most versatile tripod ever. The VS-443D has an ingenious new mechanism combining a geared/slide elevator with a 180° tilt armand a 360° horizontal pan. It is quick and easy to use: a single twist of the grip at the end of the multi-angle arm loosens both the tilt and rotation, and when the arm is in the desired position, a twist of the grip in the opposite direction re-engages the lock and the arm is fixed again. 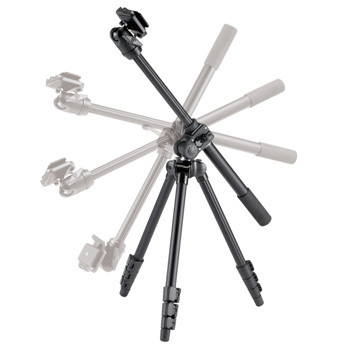 Multi-angle legs provide a choice of 25°, 45° plus 75° for low-angle photography. If an even lower position is required, a twist on the end grip of the arm can turn the camera upside-down so its viewfinder hovers just above the ground. The QHD-53D ball & socket head ensures a solid, secure mount for your camera and its quick release plate (QB-62) allows easy detachment. The VS-443D is supplied complete with carry case. Velbon RUP-L43 is a black lightweight 4 section-leg with rubber foot Monopod with foam hand grip wrist strap & Ball & socket head. Length closed 53cm. Length extended 163.7cm weighing 440g. 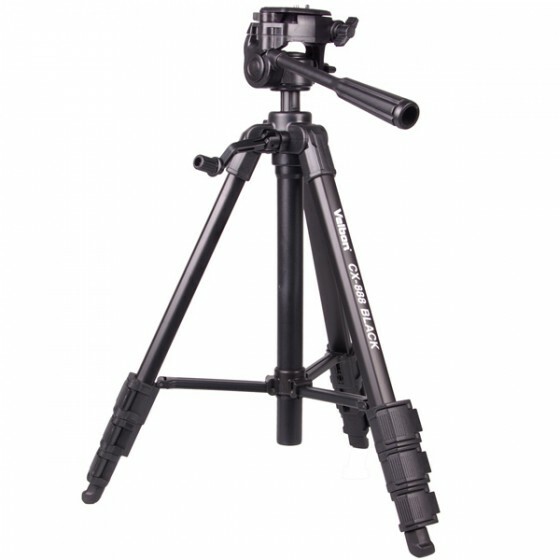 A new tripod in black finish, ideal for general purpose photograpy. It features 4 section legs and has a maximum height of 145cm. The CX-888 has a PH-249Q fixed panhead with QB-4W quick release plate and carrying case.